Kids will go on an incredible Bible-learning experience as they discover God’s great love for them. Electrifying Bible adventures, catchy songs, team-building games, engaging science experiments, and memorable crafts are all part of the VBS experience! Look for more information in the coming months. 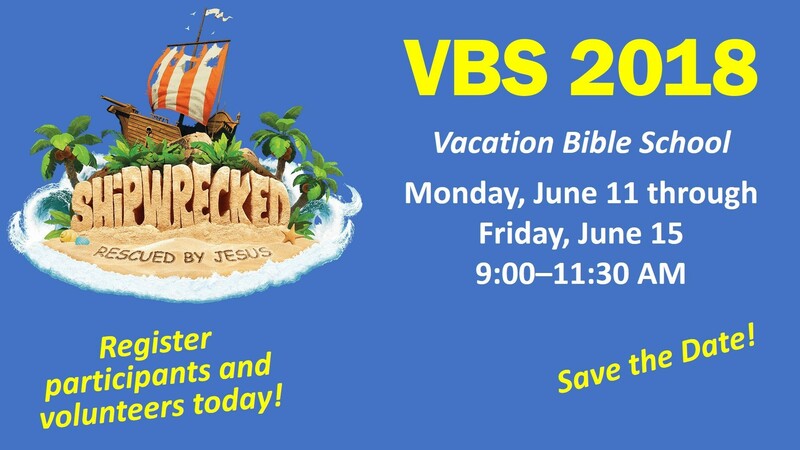 Click here for the 2018 VBS Registration form. Click here for the 2018 VBS Volunteer Registration form. Contact Paula Streib, with questions or to volunteer.